PRE-ORDER NOW AND GET 15% OFF. 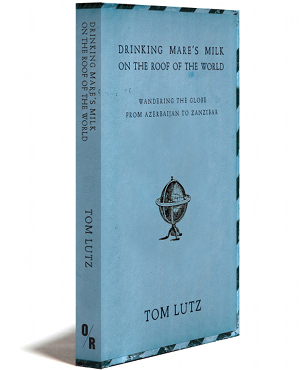 BOOKS SHIP IN APRIL. Che Guevara left Argentina at 22. At 21, Belén Fernández left the U.S. and didn’t look back. 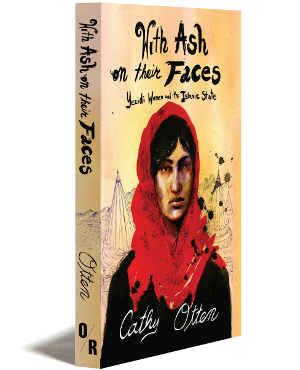 Alone, far off the beaten path in places like Syria and Tajikistan, she reflects on what it means to be an American in a largely American-made mess of a world. After growing up in Washington, D.C. and Texas, and then attending Columbia University in New York, Belén Fernández ended up in a state of self-imposed exile from the United States. From trekking—through Europe, the Middle East, Morocco, and Latin America—to packing avocados in southern Spain, to close encounters with a variety of unpredictable men, to witnessing the violent aftermath of the 2009 coup in Honduras, the international travel allowed her by an American passport has, ironically, given her a direct view of the devastating consequences of U.S. machinations worldwide. For some years Fernández survived thanks to the generosity of strangers who picked her up hitchhiking, fed her, and offered accommodations; then she discovered people would pay her for her powerful, unfiltered journalism, enabling—as of the present moment—continued survival. 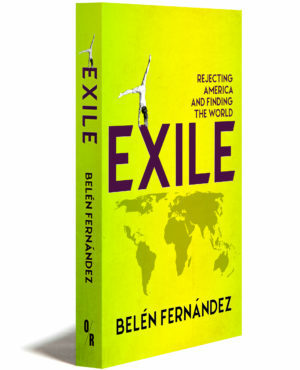 In just a few short years of publishing her observations on world politics and writing from places as varied as Lebanon, Italy, Uzbekistan, Syria, Mexico, Turkey, Honduras, and Iran, Belén Fernández has established herself as a one of the most trenchant observers of America’s interventions around the world, following in the footsteps of great foreign correspondents such as Martha Gellhorn and Susan Sontag. Belén Fernández, a contributing editor at Jacobin, graduated from Columbia with a BA in political science. She frequently writes for Al Jazeera, Middle East Eye, and Jacobin, and is the author of The Imperial Messenger: Thomas Friedman at Work (Verso). The entrance to the bay of Beirut is magnificent… The town, beautifully situated on a slight eminence, occupies a considerable part of the [south] side of this bay. Beyond the narrow plain of the coast the mountains rise rapidly, and beyond them rises the broad, snow-clad Jebel Sannin… The rosy tint of the mountains contrasting with the deep blue of the sea presents a most picturesque scene by evening light. a bout of neo-Orientalist wonder at the mind-blowing juxtaposition of hijabs and mini-skirts, or Hezbollah and billboard lingerie ads. Never mind that no one has ever said “Bey” outside a discussion of the city’s airport code, or that bronzed exterior cultivation isn’t exactly compatible with many Lebanese religious persuasions—not to mention the financial obstacles to high-end existence in a country in which the poverty rate in certain areas approaches 65 percent. Of course, the glorification of elite excess is nothing new in a global panorama in which shameless and all-encompassing materialism directly serves the interests of the powers that be. And it is in this context that we must view the encouragement and applause for Arab populations sufficiently trained in Western-style decadence so as not to pose too much of a threat to the world order. In the case of Lebanon in particular, gleeful Orientalist convulsions over the Beirut “renaissance” and the idea that the Lebanese are so much “like us” effectively invalidates and delegitimizes the aspirations of those in Lebanon with potentially more pressing objectives than coke-fueled benders—like, say, the right to not be occupied and killed by Israel. Naturally, anyone putting up resistance to US-Israeli designs in the region is potentially guilty of sabotaging Lebanon’s Paris of the Middle East identity in favor of the alternative Terrorist Hotbed one. Among the many eligible saboteurs, perhaps, is a Palestinian-Lebanese man called Hassan whom I once happened to marry as part of a heavily wine-fueled scheme to procure for him a US passport, with which document he might travel to Israel to see his late father’s Palestinian family members in a village near Nazareth. Said father had fled his birthplace as a child in 1948 when the state of Israel undertook to erect itself on Palestinian land, eliminating more than 400 villages, killing some 10,000 Palestinians, and expelling three-quarters of a million more. Taken in by a south Lebanese family, he later married Hassan’s mother, a Lebanese Shia from the southern village of Shehabieh; Lebanon’s identity laws being what they are, however, Hassan is permanently categorized as a Sunni Palestinian refugee, with citizenship, basic rights, job opportunities, and so forth curtailed accordingly. This despite his previous service in Lebanon’s primarily Shia Amal Movement, in which capacity he participated in the struggle to liberate Lebanese territory from Israeli occupation. Given Israel’s unilateral criminalization of any suggestion of a Palestinian right of return, Hassan is essentially doubly deprived of a homeland, on both his mother’s and father’s sides. Back in 2008, the situation got us to thinking that the least my own repudiated homeland could do in compensation for its annual multibillion-dollar donations to Israel would be to provide the passport necessary to allow Hassan to reconnect with his Palestinian past just south of the Lebanese border. Wine-induced disregard for the numerous hurdles to such a matrimonial scheme meant that Hassan and I never made it so far as to register our union at the US embassy-fortress north of Beirut, although we did at least eventually succeed in navigating Lebanon’s sectarian bureaucracy, resulting in my inscription as wife number one on Hassan’s Palestinian identity card. Meanwhile, Hassan served as benevolent guide to picturesque scenery and native habits and, in doing his damnedest to make me feel at home in a land where he most certainly wasn’t, helped me more than I could ever help him.